I have a CC257, most likely a 1992 model. It has the Ping tuners on it. I need to replace tuners on it. Any one have any recommendations. 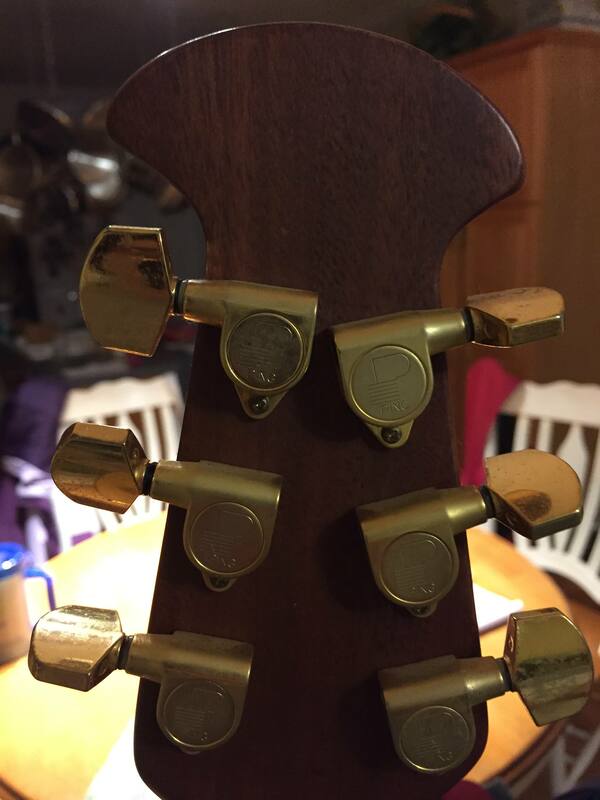 I would love to put locking tuners on just for the ease of string changing. Other than the small screw hole lining up, how would I choose the correct Schaller? Location: Germany, where delicious wine is growing (Rheinh) Look for Schaller M6 Vintage-Style, they fit exately and have a better gear ratio. I've changed all the Ping crap for the schallers on my guitars. May be Al has them in stock. I have a set of nearly new gold Pings with the pearloid buttons out of my 2009 Collectors here. If you want them let me know. Location: Germany, where delicious wine is growing (Rheinh) Al, if that are the vintage ones, they have that screw hole configuration, they were only made so. The regular M6 tuners are made in different configurations of the holes, as well with the pins.